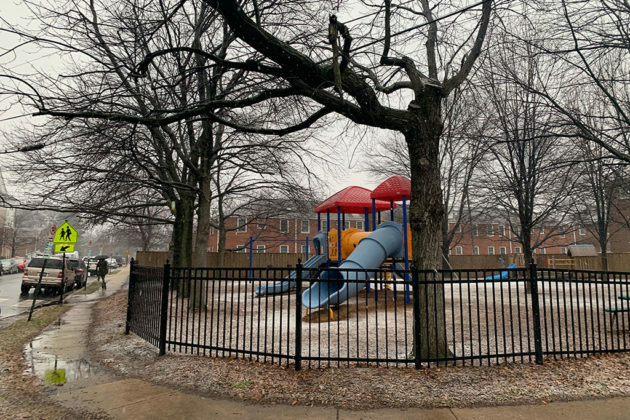 After a day of nervous anticipation that saw most schools and government facilities close early today, the snow is now here — and so is the traffic. 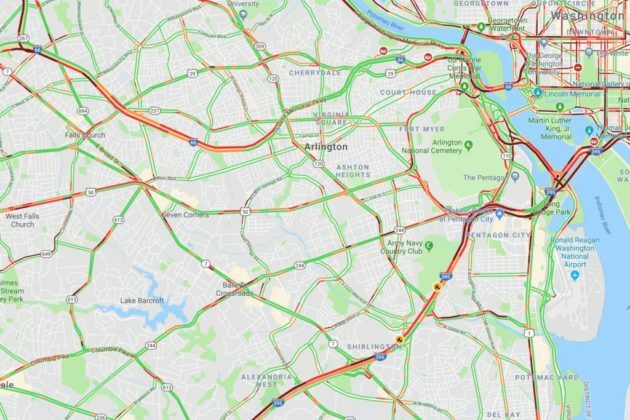 Very heavy traffic has been reported on I-395, Washington Blvd and parts of the GW Parkway, as long as in the Rosslyn area, as commuters try to get home early before the streets turn slippery. 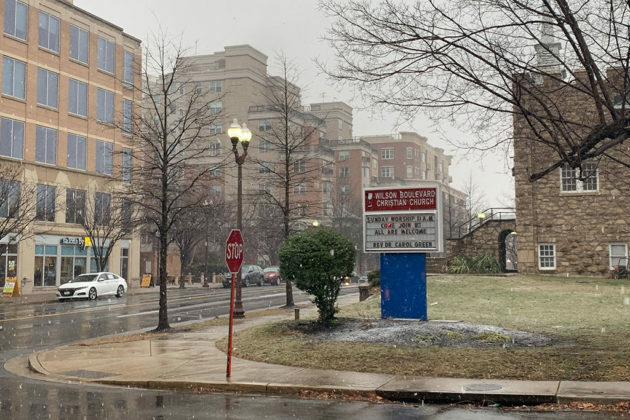 As of 4 p.m., large flakes were falling outside of ARLnow’s office in Ballston, while grassy areas in the neighborhood were starting to turn white. Roadways, however, are mostly wet — but falling temperatures threaten to turn wet roads icy tonight. 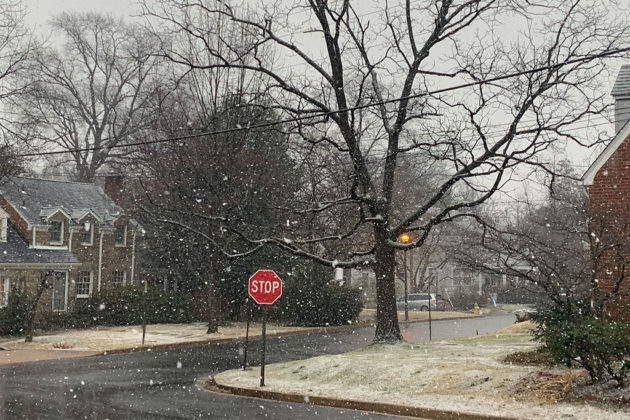 Arlington County crews have started treating roads with salt and expect to continue a “full storm” response through at least Wednesday night. “Prepare for a slow Wednesday morning” commute, said Arlington’s Dept. of Environmental Services.